Winter months are coming up on us fast. Have you seen the reports stating we are going to be cold, Cold, COLD! 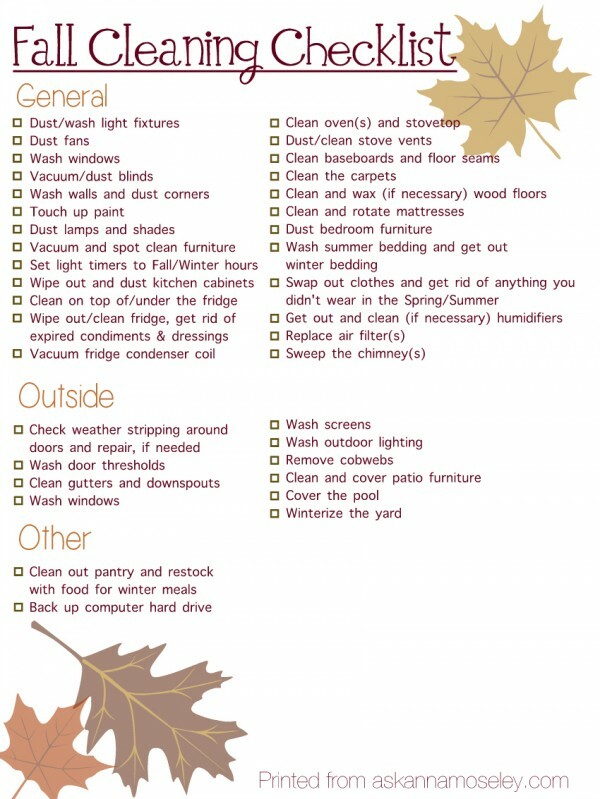 Here is a checklist to help you with your Fall cleaning and maintenance. Thank you so much to https://askannamoseley.com/ for the check list and tips!